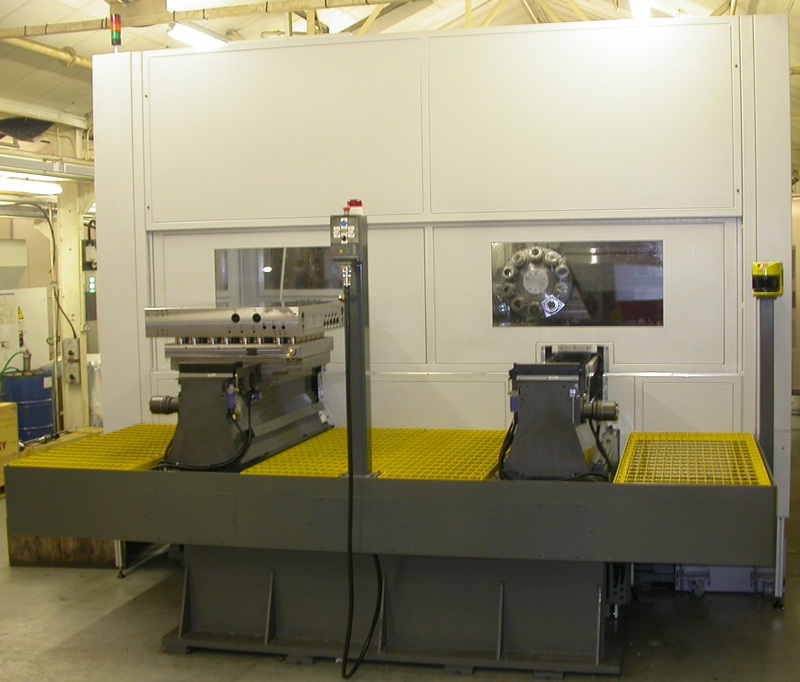 Large capacity CNC gundrilling and milling machine with capability for lights-out running. Single spindle machine facilitates tool changing of gun drills and standard milling tools using auto-tool changer. Gun drilling from Ø5mm to Ø50mm and depths of 1,340mm. 6-Axis CNC control including 1,000mm x 1,000mm rotary table with 3 tonne capacity.